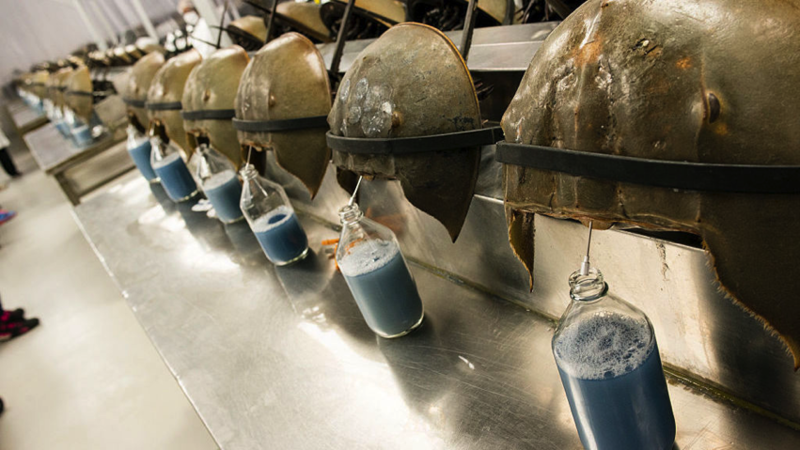 Horseshoe Crab Blood is a Medical Marvel – and It Could Be Endangering The Species « Adafruit Industries – Makers, hackers, artists, designers and engineers! Popular Mechanics has a fascinating piece on Horsehoe crab blood and it’s use to biomedical companies. Meghan Owings plucks a horseshoe crab out of a tank and bends its helmet-shaped shell in half to reveal a soft white membrane. Owings inserts a needle and draws a bit of blood. 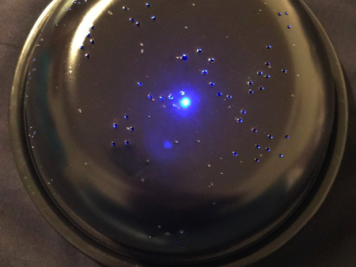 “See how blue it is,” she says, holding the syringe up to the light. It really is. The liquid shines cerulean in the tube. When she’s done with the show and tell, Owings squirts the contents of the syringe back into the tank. I gasp. “That’s thousands of dollars!” I exclaim, and can’t help but think of the scene in Annie Hall when Woody Allen is trying cocaine for the first time and accidentally sneezes, blowing the coke everywhere. I’m not crazy for my concern. The cost of crab blood has been quoted as high as $14,000 per quart. But that demand cannot climb forever. There’s a growing concern among scientists that the biomedical industry’s bleeding of these crabs may be endangering a creature that’s been around since dinosaur days. There are currently no quotas on how many crabs one can bleed because biomedical laboratories drain only a third of the crab’s blood, then put them back into the water, alive. But no one really knows what happens to the crabs once they’re slipped back into the sea. Do they survive? Are they ever the same? Scientists like Owings and Win Watson, who teaches animal neurobiology and physiology at the University of New Hampshire, are trying to get to the bottom of it. They’re worried about the toll on the creatures, from the amount of time crabs spend out of the water while in transit to the extreme temperatures they experience sitting on a hot boat deck or in a container in the back of a truck. To that end, these two scientists are putting this strange catch to the test. The pair took 28 horseshoe crabs from the Great Bay Estuary behind their lab, left them out in the heat, then drove them around in a car for four hours and then left them in containers overnight to simulate what might happen in a bleeding facility. Then they bled half the crabs (so they’d have a control group that wasn’t bled). All of the crabs remained in containers a second night, as would likely happen at a bleeding lab. The following day, Owings and Watson put $350 transmitters on their backs, attached them snugly with little zip ties, and put the crabs back into the bay to see if they could make their way. What they find might have a lot to say about the future of this odd routine.